It’s also no secret that many hackers and techy-guys alike enjoy smoking weed. Seriously, they love that stuff. So what happens when the FBI tries to hire a bunch of guys who are more than suited for the job, but who also enjoy smoking a little pot? It’s no secret that computer hackers are a major threat to the U.S. economy, costing it as much as $100 billion each year. With this issue increasingly becoming more of a threat, Congress has asked the FBI to hire 2,000 new recruits to help combat these said computer hackers. However, the FBI is finding this task to be a tad more difficult than they thought it would be. The FBI’s drug testing policies are making it almost impossible for them to hire hackers who have the skills to take down cyber-criminals. Most companies give drug tests and that’s understandable, but the FBI? Ha! 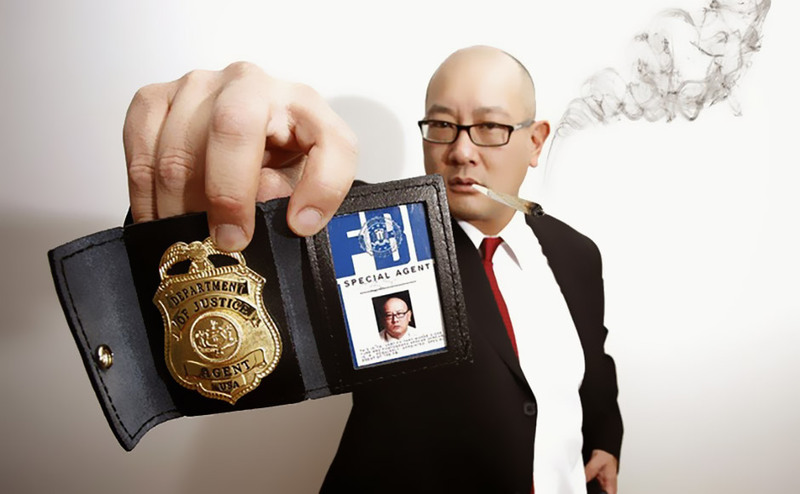 The FBI won’t hire anyone who has “smoked” marijuana in the last three years. Nothing on edibles or other methods of consumption have been mentioned but, we can widely assume that those are a no-go as well. But if the FBI wants to do their job, and do it well for that matter, they’ll probably have to reconsider their harsh restrictions on cannabis, especially after being told that they haven’t been doing such a great job with their Internet security. FBI Director Comey, who once said that he is, “absolutely dead-set against using marijuana,” has started to come around. According to the Wall Street Journal, Comey mentioned that in order to fight off these cyber criminals effectively, they’d probably have to allow government hackers to use cannabis. These days, skilled hackers are being hired from left and right, and the demand for these skills are increasing. If these guys, who have all these incredible cyber-crime fighting abilities, can get a job practically anywhere then let’s be honest, they’re not going to stop smoking a little pot just so they can work with the feds. At the White Collar Crime Institute, Comey told the audience about this little pot-blem the FBI was facing, “I have to hire a great work force to compete with those cyber criminals, and some of those kids want to smoke weed on the way to the interview.” He then admitted that the FBI is thinking about amending its drug testing policies, but nothing is set in stone. Yet, it seems like things will have to change sooner rather than later. Even if the FBI refuses to hire someone who has smoked marijuana in the past three years, they’re going to have a hard time hiring anyone for any government job in the next 5 years. There is no doubt that cannabis is becoming more acceptable in society, and soon, it will be just as acceptable as having a glass of wine. Hey FBI Director Comey, you wouldn’t refuse to hire someone who had a glass of wine in the past three years, would ya? Didn’t think so. Do you think the government should change its drug testing policies? Do you think these policies are too harsh and/or out of date? Let us know on social media or by commenting below.